Location: Municipal Garden is fast gaining popularity as a scenic picnic spot. 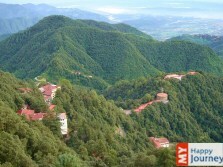 This garden lies in the Happy Valley area and is about 4 km away from the queen of hills, Mussoorie. Tourists can easily reach this destination by car or shared taxis. 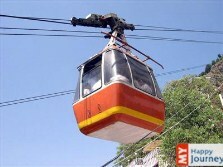 Description: Earlier, the Municipal Garden was known as Company Bagh. All around the year, a large number of visitors visit this park with their families and friends to enjoy themselves. The municipal garden gives an impression of colonial gardens that were present long time before. However, the main attraction of this garden remains the majestic lake and a small nursery. 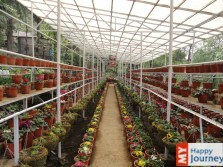 The nursery houses beautiful plants which are decorated with flowers of different colors. 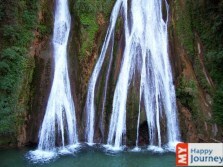 A recently constructed waterfall also attracts visitor’s attention. This place is regarded as a weekend gateway which helps the visitors to feel relaxed and rejuvenated. While at this place a person can forget about all his worries and enjoy in the scenic and serene ambiance of this location. Activities: At Municipal Garden tourists can also indulge in boating. Food lovers can try local cuisine at the restaurants and small shops that are present in the vicinity. 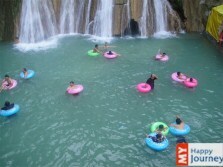 Therefore mark a visit to this beautiful place to enjoy the natural beauty of the region.